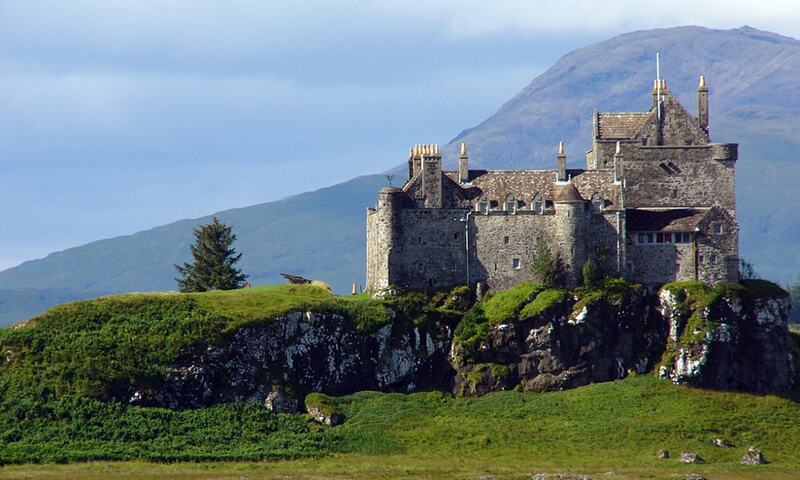 Duart Castle is a castle on the Isle of Mull, off the west coast of Scotland; the castle dates back to the 13th century and is the seat of Clan MacLean. The castle was used as a location in the 1999 film Entrapment, starring Sean Connery (who has MacLean ancestry on his mother's side) and Catherine Zeta-Jones. The castle also features prominently in the 1971 film When Eight Bells Toll, starring Anthony Hopkins.